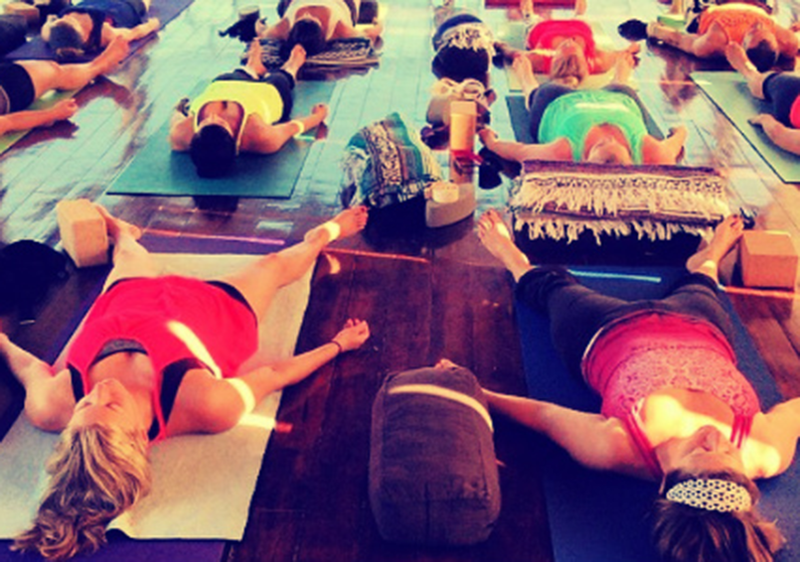 Marianne Wells Yoga School / #reallyrealyoga / What is Real Yoga (and Are You Getting It)? What is Real Yoga (and Are You Getting It)? During my 200 RYT Yoga Teacher Training this past April, a 40-year-old student confessed that she had been practicing yoga for close to 20 years, and yet, she felt she had very little self awareness. Even with the incorporation of meditation, she had never done any self inquiry. As a yoga teacher, I often observe students going through the motions during practice with eyes glassy and vacant. This is an extremely common theme I encounter during Yoga Teacher Trainings and it made me want to share something I hold very dear to my heart: Really Real Yoga. To help illustrate my conception of really real yoga, I want to reference the writings of Patanjali. Not unlike the intention of the disciples who recorded the Gospels, Patanjali put the Yoga Sutras into written record with the hope of instructing and guiding all those who seek. 1.1 Now, the teachings of yoga, the steps that allow one to progress. 1.2 Yoga is the ability to direct and focus mental activity and the ability to still the turning of thought. 1.3 With attainment of a focused mind, the inner being stands in its true identity observing the world. 1.4 Otherwise, we identify with the turning of thought and the misperceptions of the mind. Patanjali’s purpose for sharing this knowledge is to allow us to progress. Progress, not perfection, is the goal as we seek correct understanding of life and its purpose. If we achieve these first three sutras, we will not toil under the weariness of misperceptions and cloudy thought. Essentially, we won’t be bogged down by what isn’t real. Really real yoga connects us to our lineage, the tree of yoga, and assists us in understanding the meaning of that tree. Really real yoga causes you, the yoga student, to ponder not only the essence of yoga, but the essence and realities of life. Once you open your mind to a bigger picture and greater purpose, it allows you to live life more mindfully. Instead of simply going about day-to-day tasks, seemingly on autopilot, you begin to address why you do the things you do. With this realization comes the ability to chose the tasks that truly matter. Inevitably, this “awakening” impacts not only your personal practice, but the way you teach and approach others. This is such a positive attainment because a mindful teacher will quickly recognize the needs of each individual student and impart upon them the wisdom to enhance not only their skills, but their lives. To me, this is REALLY REAL YOGA. I realize this may seem easier said than done, but the acknowledgment of our awareness is half the battle. Too often we settle for a stale existence with a mundane appreciation for the world around us. We all deserve and desire more. It is up to us to acknowledge and to act. At your next yoga class, I urge you to dig a little deeper and open your mind and your heart to what lies within. Call upon these Sutra teachings to focus, calm, and open your mind. If you’re merely going through the motions on your mat, you may also simply be going through the motions in life. Really living involves awareness, active participation, and clarity. In an effort to help you incorporate really real yoga into your practice, I leave you with this poem. This is my mantra and I recite it often. I humbly share it with you.